The past few weeks of my life have been consumed by a single order. A big one. A customer asked for a complete interior design. 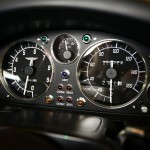 This would tie together the OEM gauges, the HVAC cluster, and his AEM analog gauges. That’s right. 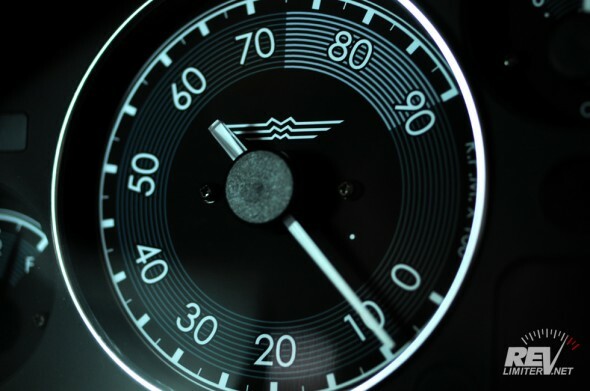 AEM gauges. I can now make custom faces for them! 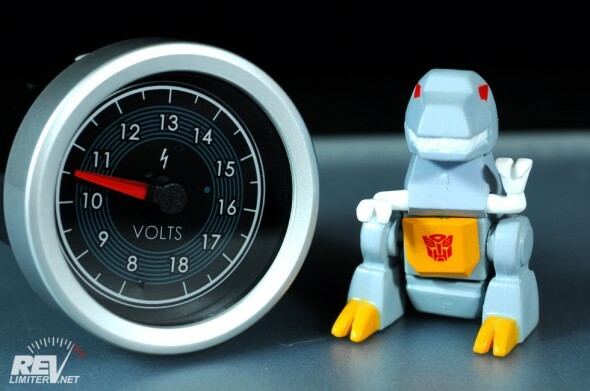 Me Grimlock like pretty gauge! 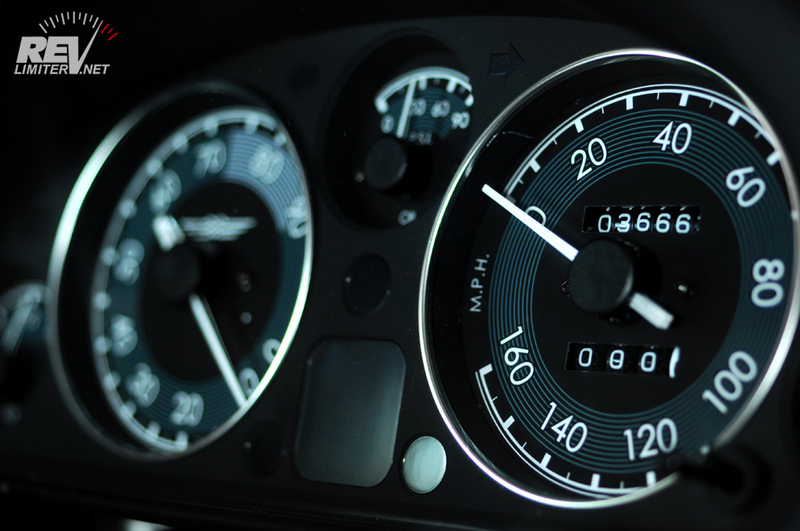 For those who might not be aware, AEM now carries a complete line of analog gauges. And they’re designed to have the faces and bezels customizable by the user. You get both black and white faces and black and silver bezels. Pretty slick, eh? 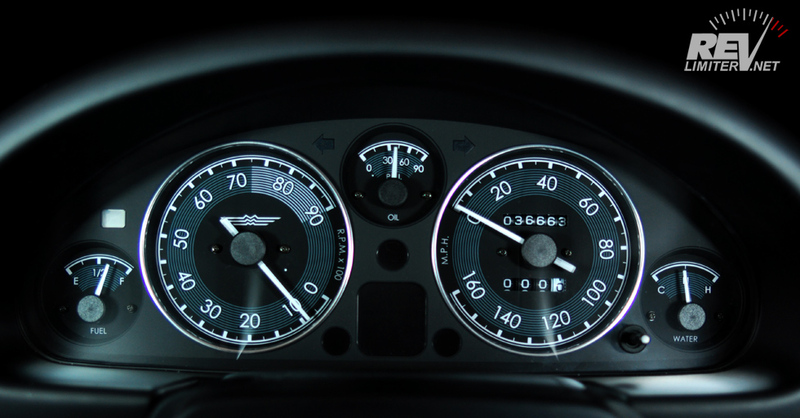 I’ve often wondered how these AEM gauges would be to design for. It turns out, they’re not bad at all. The one tricky piece is that little needle stopper post, but I was able to deal with it. 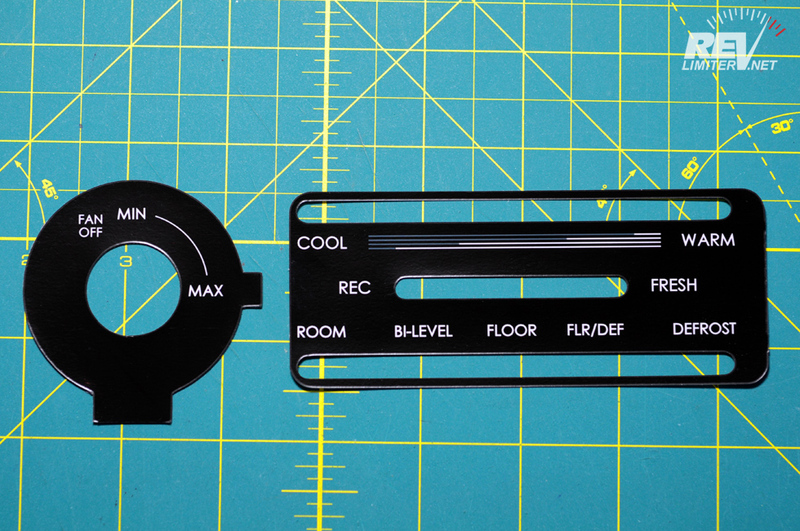 My die cutter can cut fine enough to get the hole most of the way there, and then I finish off with an X-acto knife. 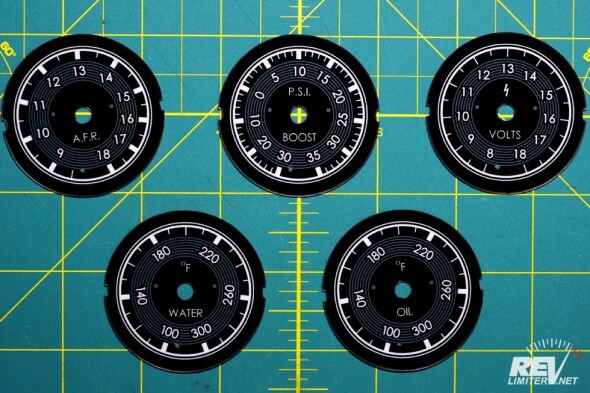 Same procedure as the rest of my gauges. The AEM faces are designed to be a little more… robust? 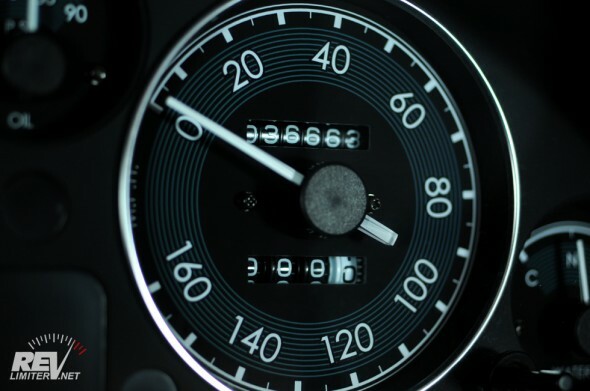 than your average, everyday OEM gauge face. Very strong plastic and no need for care when touching them without gloves on. So, I made these to be similarly robust. I covered the front with the same semi-gloss layer that I use on my HVAC panel. I’m not saying that you could play frisbee with them, but they’re pretty darn strong and can hold up to repeated install-removal cycles. To finish off the OEM and AEM gauge sets, I made a custom HVAC panel in the same style. It was really a collaborative effort between me and the owner of all these new parts. I came up with a few ideas, but I can only take about 50% of the credit. Things like this really work best when you’ve got someone to bounce ideas off of. And, if I say so myself, this panel came out awesome. 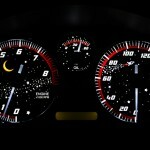 And finally, some shots of the OEM gauges in my stunt cluster! So there it is. Two weeks of work condensed into a few paragraphs and 10 photos. But I’m really proud of my work here. It is one of the largest projects I’ve ever taken on, and it came out beautifully. Thank you Adam for a fantastic collaboration, and I believe, the best work you’ve done to date. I couldn’t be happier with the communication, professionalism, and just overall level of coolness that you brought to this. It was my pleasure Coop! Seriously. 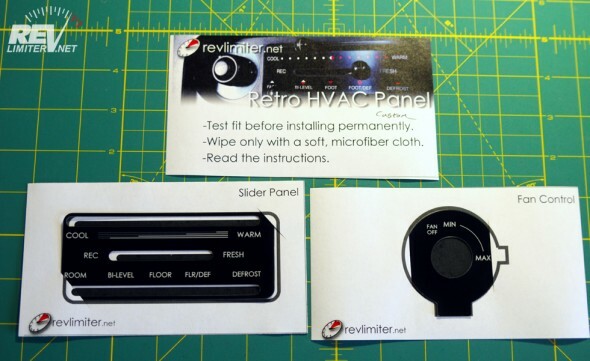 And I cannot wait to see this stuff installed! Oh – and you need to post one of the shots of the backlighting on the test AEM gauge – that came out awesome! Good call. I can’t believe I forgot. I was devoted to Stewart Warner gauges. 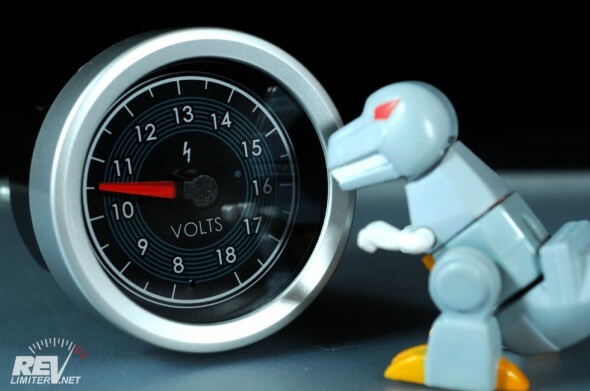 But then I saw your work on AEM gauges… Thumbs up, it looks amazing ! I’m hoping for installed pix in Coop’s car as well! 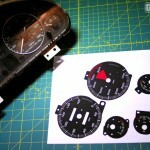 I have been looking at aftermarket gauges that could match my retro theme. Thanks! That’s quite a complement. wow that looks amazing!!! would love a set in my 2001! Oh lordy, you are a wonderful designer! Graphics are top notch – needle positions are so bizarre. And I love the needle positions. This is the 2nd set I’ve ever made with the tach and speedo pointing in that orientation. Both were at the customer’s request. Wow ! looking good ! Hmmmmmmmmmmm. Flagship product you say? Hmmmmmmmmmm…… I should put together a page in my store! Do you have any experience using these AEM gauges? How well do they work, and how well made are they? Would you recommend them? Well… I don’t own any yet. But my time spent with one of Coops was memorable. The quality is EXTREMELY high. 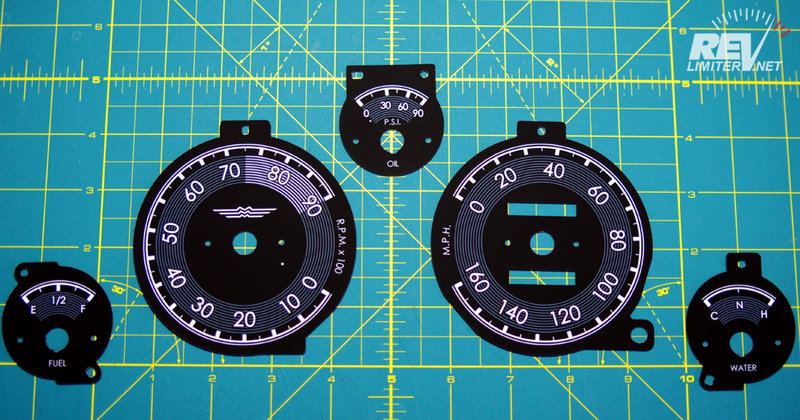 Higher than any aftermarket 52mm gauge I’ve ever encountered. Autometer looks like a child’s toy compared to these. 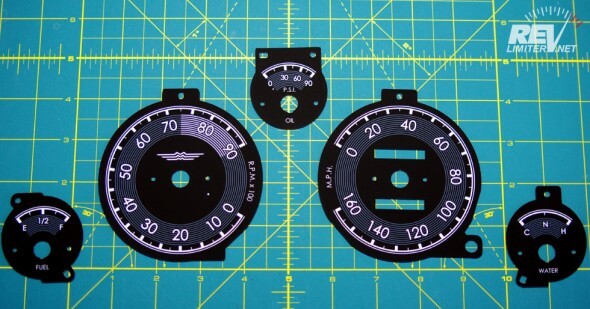 I think anyone with these AEM gauges will be very happy. wow that is awesome! 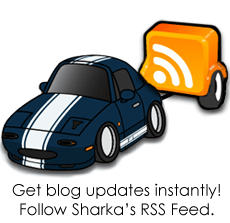 please post them up on MazdaRoadster.net so the guys on there can check them out as well! Thanks! And I just realized I’d not shared these on any forums. doh.